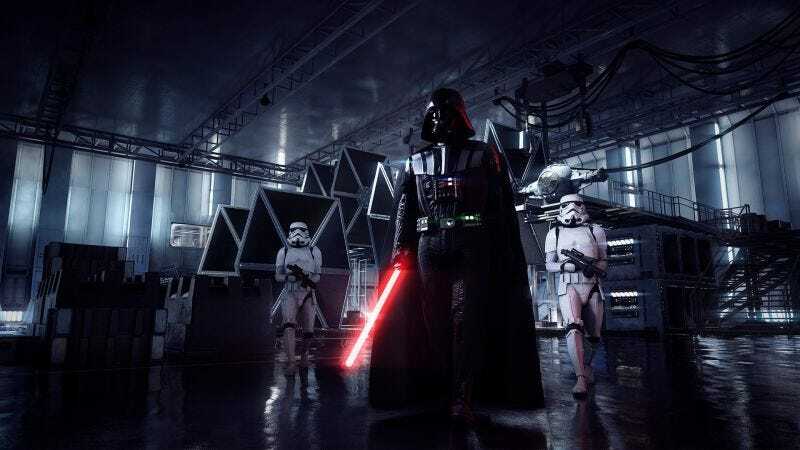 In a blog post today, EA outlined the new progression system for Star Wars Battlefront II, which will “begin rolling out” on March 21. The biggest change is straightforward: Players will no longer be able to spend real money on items that impact how the game is played. You won’t be able to buy loot crates or ability-boosting Star Cards anymore—instead, you’ll earn experience points and skill points for your heroes, classes, and ships. This news comes five months after the launch of Star Wars Battlefront II, which triggered waves of outrage in the video game community thanks to its unbalanced, pay-to-win microtransaction system. Players who had early access to Battlefront II were beyond critical of this system, which gave big advantages to those who spent more money than others. The anger grew so deafening that EA and developer DICE took the unprecedented step of removing all microtransactions from the game a night before it launched. But as the companies said then, that was a temporary move. Players who have already purchased Star Cards or progressed in the original system will keep everything they’ve unlocked, EA said. Starting in April, players will be able to purchase appearance changes and cosmetics for their characters using either in-game credits or crystals, the game’s premium currency.